Italia Ceramics family owned business are honoured to receive the Housing Industry Association’s (HIA) “Excellence in a Showroom Display” award in 2014 & 2016 for our tile + stone showroom at 55 Glynburn Road, Glynde. Italia Ceramics showroom offers the freedom to express your personal style through our beautiful selection of tile and stone. Our showroom allows customers to touch, feel, visualize and experience products in room settings. Italia Ceramics showroom is a tangible expression of everything our brand represents. It’s a space that impresses and inspires our customers, that demonstrates how the latest tile and stone products look in complete room settings, backed up with over 45 years of experience. 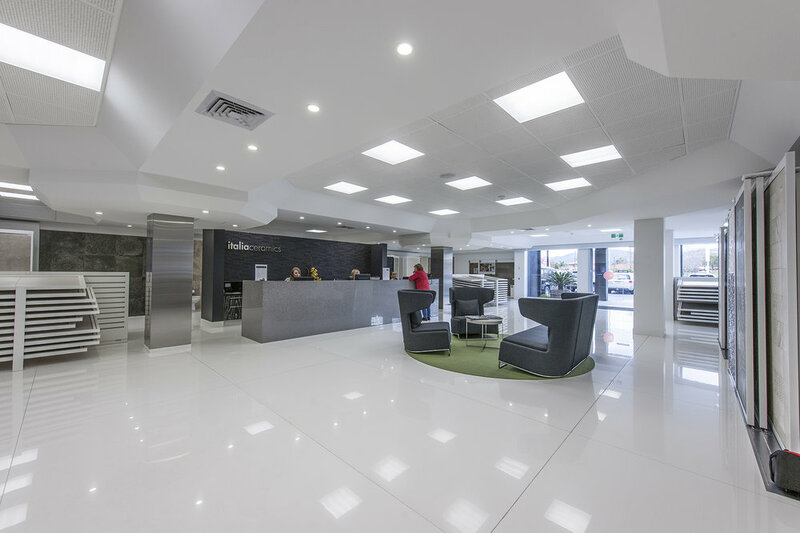 Our extensive showroom is constantly evolving with new ideas to reflect the natural qualities of our ceramic, porcelain, and natural stone wall and floor tiles to capture the imagination of our clients. Since 1973 the South Australian family owned business was one of the state’s first Italian ceramic wall and floor tile disturbers. 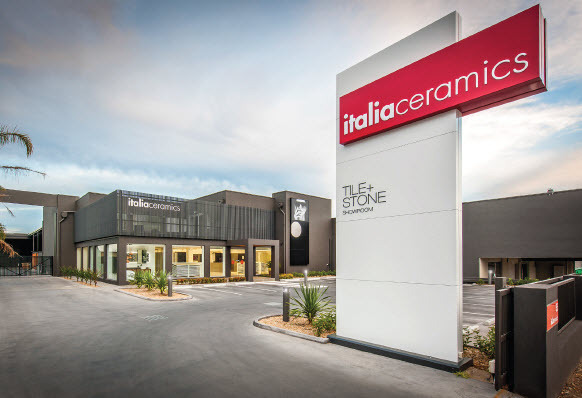 Italia Ceramics continues to uphold the brands 43 year strong reputation as leaders in Australia’s tile and stone marketplace. With the Italia Ceramics buying team very recently returning from the largest Cersaie tile fair in the world, we are going to see some new and exciting trends showcased in 2017! 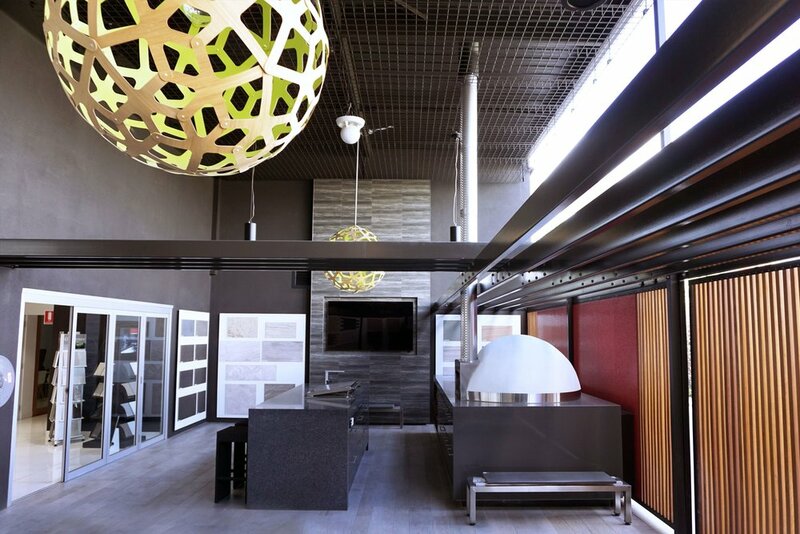 As one of the largest and most impressive retail spaces in the Southern hemisphere, our stylish range of world-class products is sure to impress! Experience Italia Ceramic tile and stone showroom, HIA award-winning Showroom Display.